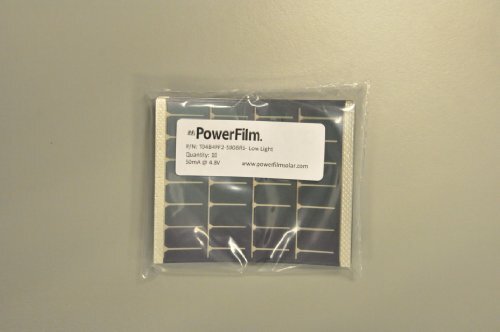 Quantity of 10 OEM solar modules, specially made for low-light conditions. Perfect for integration into existing and new prototype electronics requiring power. Each module offers 50mA @ 4.8V. Each solar panel is 50mA @ 4.8V when exposed in full sunlight. If you have any questions about this product by PF POWERFILM, contact us by completing and submitting the form below. If you are looking for a specif part number, please include it with your message.